Ottawa's light-rail transit project has been approved by a federal environmental assessment, a step Mayor Jim Watson calls a "very important milestone." 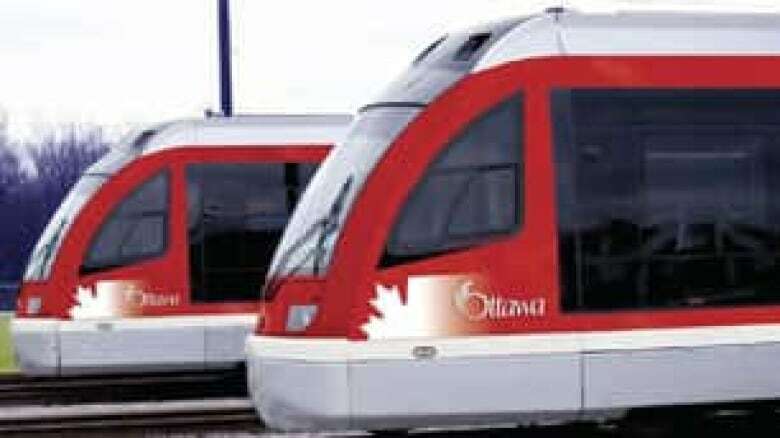 Ottawa's planned new light-rail transit has been approved by a federal environmental assessment. Mayor Jim Watson said in a statement Monday that the approval is a "very important milestone" and a "critical step forward" for the largest and most complex infrastructure project in the city's history. The Ontario government already gave its go-ahead for the plan back in August 2010. Ottawa's planned new light-rail line will run east-west through downtown, and is projected to cost $2.1 billion. The project is still in the process of choosing a company to do the construction work for the new east-west transit line. The city has three consortiums on its short list, and their final bids are due in September before council chooses the winner. Construction work is to begin early next year. 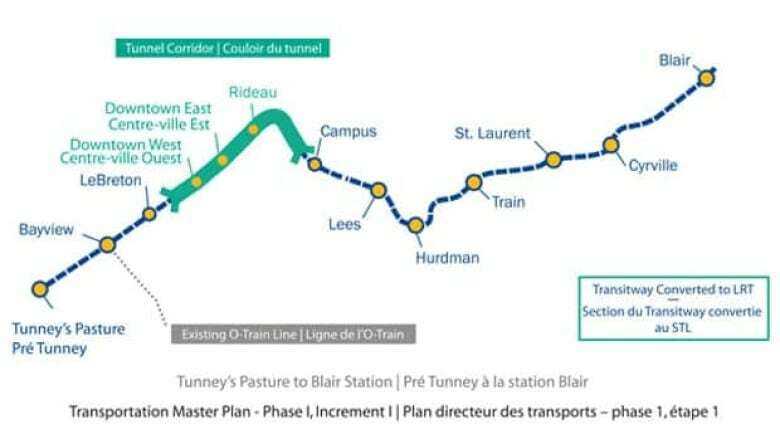 The city says building the 12½-kilometre light-rail line, which will run from Tunney's Pasture in the west to Blair in the east and include a 2½-kilometre underground segment, will require 20,000 person-years of employment. The system is designed to carry more than 10,000 people per hour, per direction, during the morning rush hour. The city is receiving $600 million from the province toward the $2.1-billion cost. Another $600 million is coming from the federal government. The new rail line is slated to be operational by mid-2018.